Something different! 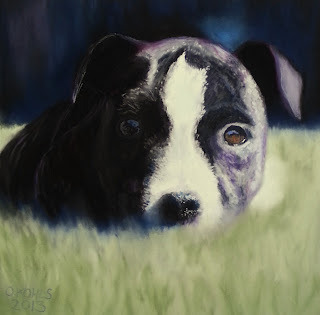 Although I am certainly no expert in doing pet portraits I could not resist painting this little fellow. It is a commission and I hope the client likes it. I bet he / she will definitely like it, well done. I'd like to see more of those different works. This is absolutely great! Love your works. You are very talented. Hope to see more of your great works!